I struggled with depression, taking anti-depressants and going to therapy. I found relief when I realized I had an emotionally absent mom. Did You Have an Emotionally Absent Mother? 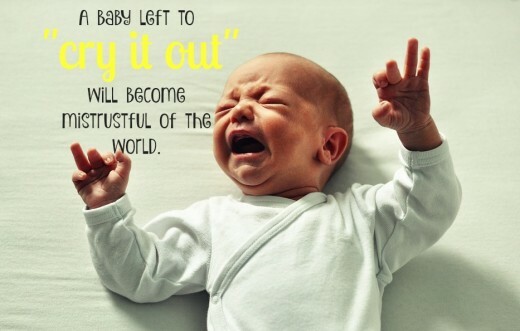 Did you have a mother who believed that letting a baby “cry it out” was a sound practice to prevent a spoiled child? 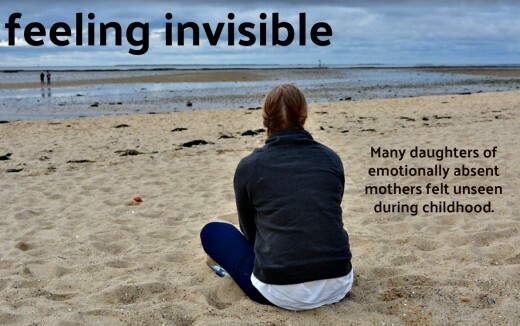 Do you feel invisible as a kid because your mom never saw the real you? Did your mom ignore, deny, or get frustrated by your feelings when you were a child and teen? Do you now as an adult suffer from low self-esteem, find it hard to trust, and often feel numb and alone? If nodding your head, you may have grown up with an emotionally absent mother and are struggling because of it. By examining what transpired during your childhood, you'll have a greater understanding of why you wound up feeling insecure, closed off, and empty. With new insight, you can take steps to become more open, vulnerable, and loving with yourself and others. How Are Daughters Affected by Emotionally Absent Moms? When my first-born son was a baby, my mother insisted I let him "cry it out" rather than pick him up and attend to his needs. This is what she did with my siblings and me, she boasted, letting us bawl until we were thoroughly exhausted and then fell soundly asleep. Doing otherwise, she explained, would spoil an infant. When I rejected her advice and immediately went to my son's crib to pick him up, she pouted like a thwarted child. 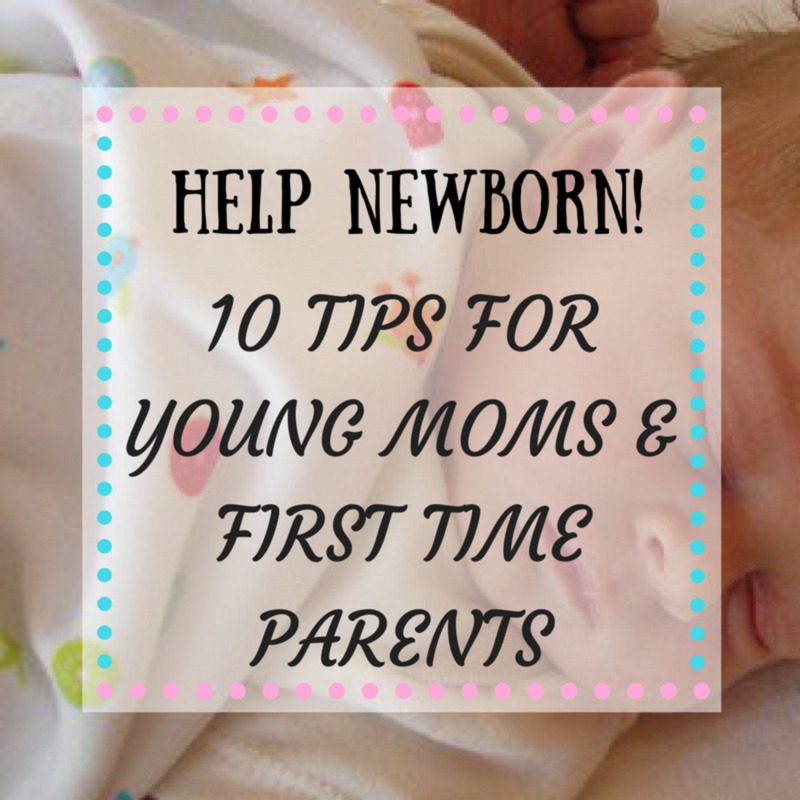 Ignoring my baby's cries went against every maternal instinct that flowed through my body. It made me wonder why it didn't have the same effect on my mother. How could she have heard the screams of my siblings and me and not felt propelled to soothe us? It broke my heart to think of myself as an infant, calling out from the crib and getting no response. But, as the daughter of an emotionally absent mother, wasn't that initial neglect just the beginning of a long and painful pattern that existed throughout my life? Don't all daughters of emotionally absent moms feel that our inner-world got abandoned when we were growing up and beyond? Don't we all feel like we're crying out for attention but are consistently ignored? While we shouldn't become immobilized by our past, learning about its impact can help us develop self-awareness and a new-found strength as adults. Emotionally absent mothers come with some variations, but the common theme is that they are insensitive to the emotional experience of their children. It is especially confusing in those cases where they appear, on the outside, to be involved parents—perhaps invested in the kids’ education, providing financial resources, and the like—and yet the children or adult children, when they respond honestly, report they do not feel loved or even known in any real way. — Jasmin Lee Cori, author of "The Emotionally Absent Mother"
We've all heard horrific stories about babies in orphanages who don't get picked up when they cry and become emotionally damaged because of it. They don't bond with their adopted parents. They have extreme fits of anger and suffer from depression. They mistreat the family pets, abuse their siblings, or mutilate themselves. But, what about those of us who weren't in orphanages but had parents who let us cry it out rather than responding to our needs? While most mothers have a fierce maternal instinct to sooth their babies when they cry, emotionally detached ones don't. Fifty years ago, my mother and others like her followed the advice of John Watson, a behavioral psychologist, who warned that showering an infant with attention would result in a spoiled, whiny, and overly dependent child. In 1928, he published The Psychological Care of Infant and Child in which he instructed mothers to withhold maternal affection (in fact, chapter 3 of the text was titled "The Dangers of Too Much Mother Love"). Watson believed that holding, cuddling, and comforting only served to reinforce negative behaviors in youngsters. Picking up a screaming baby rewarded it for crying, for example, while hugging a frightened toddler encouraged him to be timid. Not surprisingly, emotionally absent mothers were drawn to Watson's philosophy. It reinforced their reluctance to be demonstrative with their children. From the get-go, mothers like my own decided that a close mother-child bond was a bad thing, leaving their children to suffer the negative consequences of that for years to come. It comes as no surprise that emotionally absent mothers are less likely to be responsive to their babies' needs. They're less likely to cuddle their infants, sing them lullabies, read to them, and breastfeed them. Erik Erikson, the respected developmental psychologist and psychoanalyst of the 20th century, wrote extensively about the importance of a child's first year. He said that youngsters whose needs are met by attentive parents will develop a sense of trust in the world and a hopeful spirit. But those whose needs go unmet will become mistrustful and struggle with feelings of insecurity and worthlessness. For us daughters of emotionally absent mothers, the latter sounds all too familiar. When my mother was eight, her mom died and her father sent her to a Catholic boarding school run by nuns. She stayed there until she graduated from high school. That experience shaped her life and influenced the way she parented my three siblings and me. When we were kids, our basic needs were met—clothes, food, and shelter—but unconditional love and acceptance were missing. The four of us kids were interchangeable human beings to her—all treated the same and never seen for our unique characteristics and interests. She got angry and frustrated when we wanted emotional support as if we were asking for something she just couldn't give. This denial of our feelings was especially hard on my sister and me because we were both shy and sensitive. As a child, I felt invisible, lonely, and unlovable. It all caught up with me during my teen years when I suffered from depression, gained weight, and had few friends. In The Emotionally Absent Mother, Jasmin Lee Cori writes about the different roles a good mom plays in the life of her daughter. One of the most significant is acting as a mirror, letting the child see herself by providing a reflection. This is done by being a compassionate and attentive listener, hearing what the youngster is saying, taking it seriously, understanding her thoughts, and empathizing with her feelings. The daughter is seen as a unique person—loved and valued for who she is. She becomes confident, competent, and eager to take on the world. 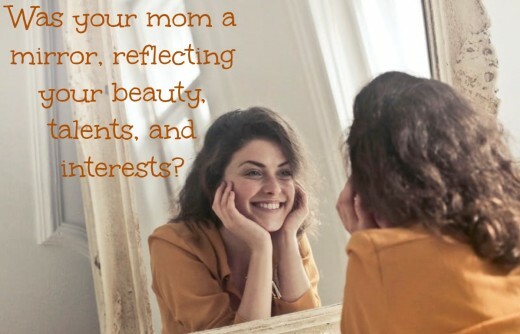 A daughter without a parental mirror often has low self-esteem, causing her a lifetime of struggles with romantic relationships, friendships, and career. Many of us with emotionally absent mothers didn't experience mirroring. Our moms were too busy, stressed-out, or checked out to see and appreciate us. My sister and I were introverts who preferred solitary activities such as reading, writing, drawing, and hiking. I struggled with social anxiety as a teen. But, throughout our growing up years, our mother insisted we were extroverts and treated us as such. When a parent sees you as a frog when you're actually a butterfly, it's painful and confusing. You grow up not knowing yourself. When my son was diagnosed with autism, it was the most difficult period of my life. But now, 12 years after that hellish time, I know it was meant to be. My son's diagnosis forced me to come to terms with having an emotionally absent mother—something I fought my entire life. The little girl inside of me stopped blaming herself—thinking she was ugly, stupid, and unlovable—and finally realized her mother was incapable of giving her the love and support she always wanted and needed. My mother had always let me know my feelings didn't matter and, therefore, I didn't matter. When I turned to her for comfort mom-to-mom when my son got diagnosed, she reacted in her typical fashion: cold, angry, and annoyed. She shut me down, not wanting to hear my worries and my pain. It was the pattern I'd known all my life, but this time I reacted differently. I saw how little concern she had for my son—the most precious and innocent little boy in the entire world—and I knew it wasn't about me. It had always been about her and her inability to connect on a deeper, more profound level with anyone. She was wounded just as I was wounded. From that day forward, I started reading all I could about emotionally absent mothers. I took notes, wrote in my journal, went on lots of long walks, and shed buckets of tears. I stopped loathing myself and started treating myself with love and respect. The idea of self-care had never been a part of my existence until then when I started eating right, exercising, shopping for cute clothes, putting on makeup, and making myself a priority. Nothing my mother said or didn't say would ever affect me again. I was free from her and moving forward with a new-found determination that my sons would not have an emotionally absent mom like I had. Making the decision to heal your emotional neglect is like saying to many generations going back in your family line: “The buck stops here. I will not deliver this burden to my children. — Dr. Jonice Webb, author of "Running on Empty: Overcome Your Childhood Emotional Neglect"
If so, what was the hardest part for you? When I was a child, I missed the hugs, kisses, caresses, and hand-holding. As a preteen, I missed a mom who could see when I was sad, disappointed, happy, and scared. When I was a teen, I missed a mom who could connect with me about dating, friends, and school stress. As a mom myself, I miss having a grandmother who can bond with my kids. I have never felt warmth, received affection, or felt loved and understood by my mother. My three younger sisters have better relationships with her and enjoy spending time together (to which I am not usually invited). My mother recently admitted that she never felt a connection to me, even when I was an infant. I've always felt that she intentionally created distance between my sisters and me, and she excludes me from most family communications. Can you provide any insight? My mother was very emotionally absent with my sister and me but very loving and nurturing with my brothers. 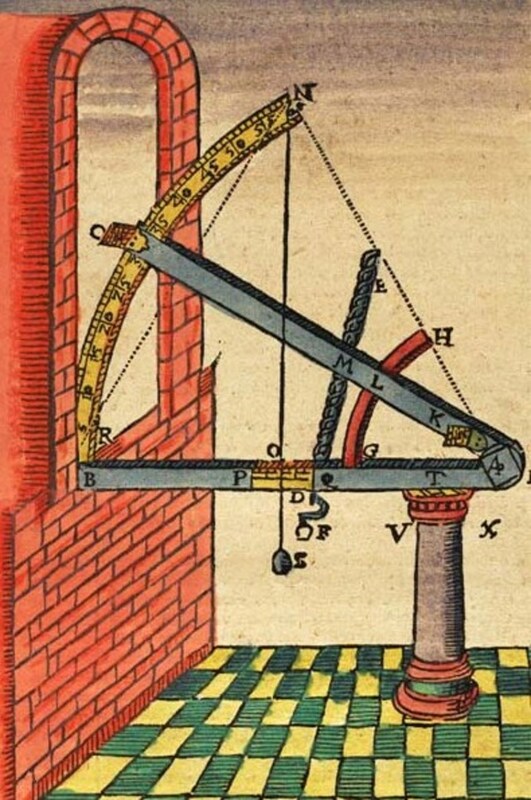 Why was this? That was true in my family as well. Daughters typically demand a deeper emotional connection from their mothers than sons. Unable or unwilling to meet their needs, emotionally absent moms often get frustrated by their daughters and turn their focus to their sons who are easier to please. My mother had no problem doting on my brothers by making them their favorite meals and cheering them on at their athletic events. She had great difficulty, however, dealing with the inner-world of my sister and me, especially during our pre-teen and teen years. She had grown up without a mom and didn't know how to listen with an open heart, be patient with our feelings, and offer comfort and support. Whenever we expressed our emotions, she reacted with anger and didn't want to deal with us. Some mothers see their daughters as rivals but don't have those same jealous and competitive feelings towards their sons. 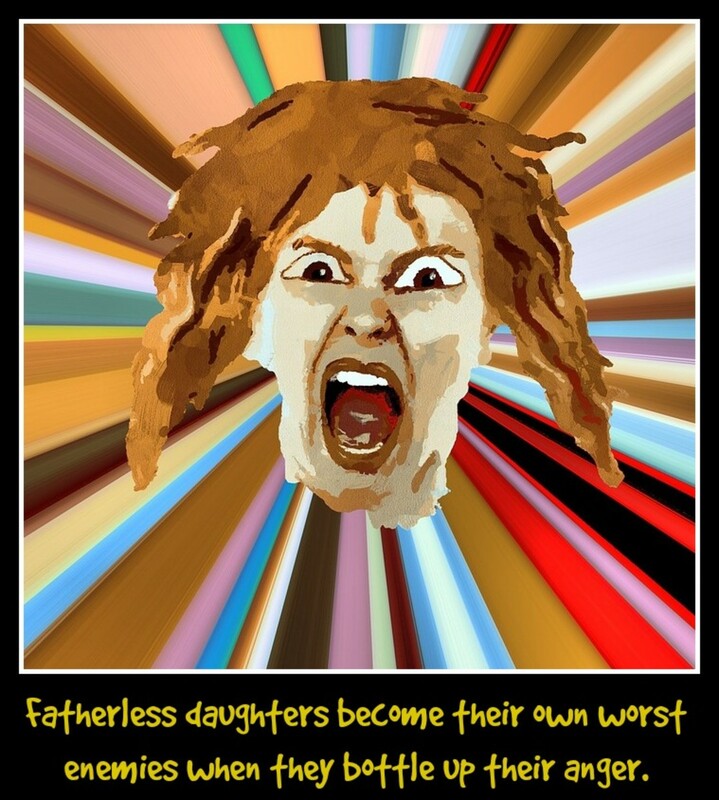 They may see theirs daughters as a threat as they develop into attractive young women who garner the attention of men. Some mothers want to be the dominate females in their homes and don't want their daughters to usurp that position in any way. Some mothers feel territorial about their husbands and don't want their daughters to develop a close bond with their dads. Sadly, these daughters wind up with no connection to either parent and feel incredibly alone. I married a man who's emotionally absent. What now? Only you can make that call. Some women marry indifferent men and are content with their situation. Some have grown up with emotionally absent mothers so it feels safe and familiar to them. A sensitive, affectionate, and emotional man may seem too weak, too needy, and too suffocating to them. Since you asked this question, though, I imagine you're not satisfied with your relationship and believe you made a poor choice in a husband. If you're unhappy and want out, that's certainly something you should explore in therapy. I'm sure there are complexities that need to be addressed: your children (if you have any), your financial situation, your living arrangement, and so on. I wasted so much of my life waiting for my emotionally absent mother to love me, to be interested in me, and to be curious about who I was. I'd wonder what was wrong with me because she was so remote. It was only when I had kids of my own and saw how disinterested she was in them that it finally clicked. All those years I had tried to get blood from a stone and, of course, had failed miserably. I was so ready to have an emotionally responsive partner in my life and you may be feeling the same way. Now my life is fulfilling because I don't look for approval from others but from myself. I hope you'll become proactive and not get stuck in your marriage if you're dissatisfied. The spiritual counselor, Iyanla Vanzant, sums it up beautifully, “You don't get to tell people how to love you or how to love. You get to choose whether or not to participate in the way they are loving you.” You didn't have that option when you were growing up with an emotionally absent mother but now you do. Sometimes. When getting married, we typically go in one of four directions: 1)we marry someone like our mom or dad to replicate our childhood because it was so happy 2) we marry someone like our mom or dad because, while they weren't great, we gravitate to what we know 3) we marry someone like our mom and dad because they were damaged in some way and, in adulthood, we seek to fix the situation 4) we marry someone who's not like our mom or dad at all because our childhood was miserable and we want to be as far removed from it as possible. It sounds like you went with number two: what seemed familiar and, therefore, felt safe. With a growing awareness of having had an emotionally absent mother and what that meant in your life, you may now want to go in a different direction and find a partner who's warm, open, and loving. Dr. Robin Smith says, “Adulthood is to finish the unfinished business of childhood.” That offers hope for us who grew up with emotionally absent moms and want to find someone today who can nurture us and give us what we missed as kids. Pamela, I'm so happy that you overcame an emotionally absent mother and built a beautiful bond with your daughter. You could have so easily repeated what you knew, but you made a conscious choice to do otherwise. I, too, have struggled mightily in my life and have made countless mistakes. The one thing I got right, though, was my relationship with my sons. If we stay in the present and savor the loved ones we have, we know our painful pasts had a purpose. Enjoy your grandchild! I fit all these descriptions. I am a 67 year old woman and my life is pretty great, having worked through most of those issues. I went through extreme rebellion and alcoholism before I was able to do the work necessary to live a happy and productive life. My mother just passed away and yet I have a lingering sense that something awful happened between us when I was too young to remember. It is the only thing that still bedevils me. I know that forgiveness must be key and yet my mind just goes to self pity when I consider that I never had a real mother. Thank God, however, that I knew it and was able to forge a wonderful relationship with my daughter, who is now a doctor with a darling baby to shower with love. Thanks, Anne. Autism does run in families and I certainly see that some of my relatives may have fallen on the spectrum including my mother. She never recognized or accepted that there was anything different about my son so it makes sense. Thanks for you thoughtful comments. I believe that autism can run in families. It can express itself differently in different family members and in different generations. It could be possible that your mother struggles or is indifferent to emotion for that reason as well as loosing her own emotional mirror at an early age. Your own insight and the things you are learning may be invaluable to her also. How satisfying to be the one to break the chain. All the best in your endeavours. Janet's child, I feel your pain about the mothering you missed. When our mothers didn't have mothers, it's not surprising they weren't sweet, loving, and nurturing with us. While we can understand why they didn't bond with us like they should have, it doesn't ease the pain. The hole in our heart is still there. We need to be very mindful of this and be loving and nurturing to ourselves. I take time every day to think of my many blessings and give thanks, focusing on the abundance in my life and not the love I missed from my mom. This gives me peace. Please do something wonderful for yourself today and take care. My mother's mother died when she was 5 and she was raised by a woman who was not raised by her mother, either. (Great Grandparents). I am missing 2 generations of mothering. My mother also had twins when I was 2.3 years of age and I was summarily pushed farther from her lap, even complaining about it ...there are notes in my baby book about it. My needing her attention was a "funny footnote" in my baby book. Wow. She never sang to me, read books to me, we did not engage in "play" together because she was busy with other siblings. I was not mentored or mothered and I became rebellious in a way that haunts me to this day. It hurts me so deeply. Thanks for the prayers, Denise. I'm glad you and your mom have such a good and supportive relationship. My 18-year-old son recently came out to me. I wouldn't share that with my mom in a million years because she'd blame me: "If you had sent him to Catholic school, you wouldn't have this problem" would be her exact words. It's humorous to me now but, as a kid, not having the emotional support of a parent was lonely and confusing. Blessings back to you. Good for you. I didn't experience what you did. I can't even imagine how difficult that must have been. My mother had some antiquated ideas of parenting but she was there and she was supportive. And thank God, she is still alive today. I can talk to her about most things. My prayers are with you.